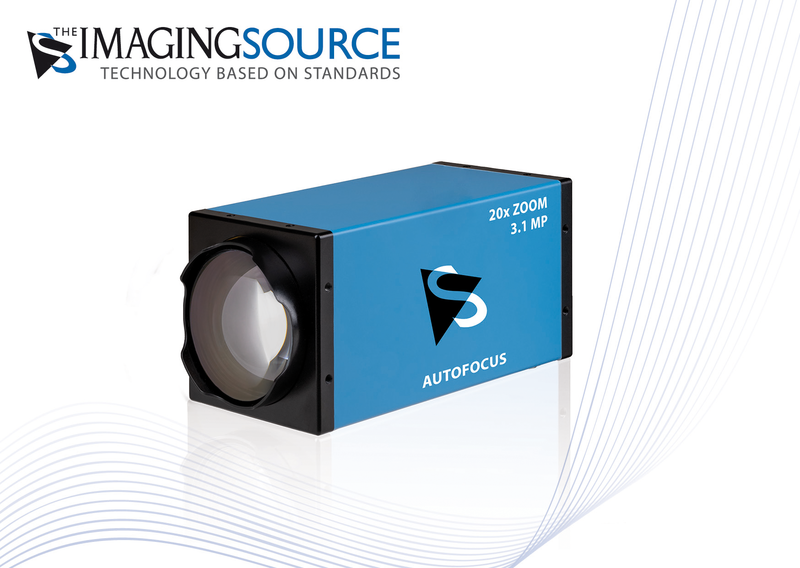 ⋯ (April 4, 2019) - The Imaging Source, international manufacturer of machine vision cameras and software for industrial imaging, announces the launch and immediate availability of the first in a new family of GigE zoom cameras featuring 20x optical zoom, autofocus, autoiris with Power over Ethernet (PoE). The cameras are available as color and monochrome variants and feature the Sony Pregius 3.1 MP IMX265 sensor. This sensor's global shutter ensures distortion-free imaging (even for fast-moving objects) and delivers high frame rates as well as high dynamic range and brilliant color reproduction. The cameras' precise stepper motors quickly adjust zoom and focus with complete zoom transition (i.e. from fully zoomed-out to fully zoomed-in) in under 6 seconds.